On the HP Prime, the INPUT command can include various types of input forms: numeric fields, choose boxes, and check boxes. You can also restrict which types of input are accepted. This blog entry will cover some of the basic forms of INPUT. The example programs presented (except for IN4) win use one variable. Here is an example of the basic format. Keep in mind, the title and label strings are optional. Type numbers are surrounded in square brackets. IN2 and IN3 are programs that ask for a specific type. IN2 asks for a matrix (type 4) and IN3 asks for a list (type 6). n groups the current and next n-1 checkboxes. If you want a checkbox next to each variable, let n = 1. A variable that is checked has a value of 1. Otherwise, the value is 0. Each variable and it's corresponding n are surrounded in curly brackets. If you want to use more than one input form, I advise to keep INPUT types separate. This INPUT form will create a choose box (drop down list). That is some of the ways we can use the INPUT command on the HP Prime. To check out all of the ways INPUT command, including putting the prompts in specific places, check out the help screen for INPUT. 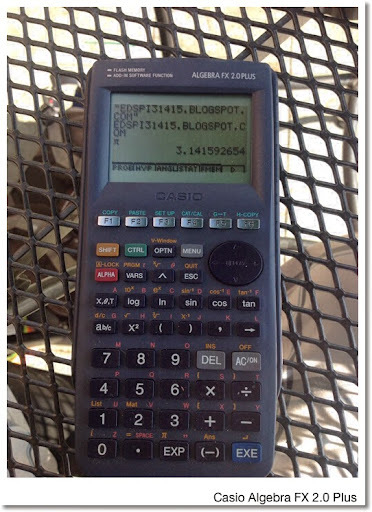 On the surface, the Casio Algebra FX 2.0 Plus looks like a typical modern Casio graphing calculator: the MENU key displays an iconic menu, the top row is a set of six soft keys, the layout of the keys are similar, and its programming language is the same as its fellow graphic calculators. 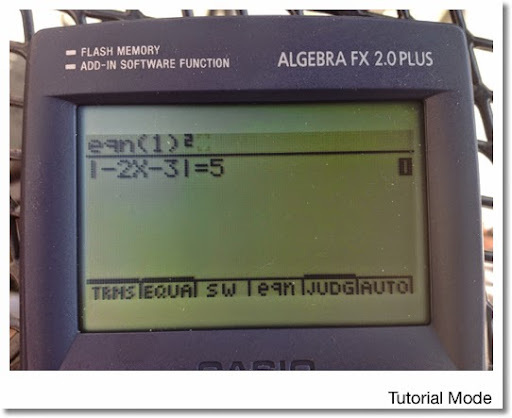 I am just going to go over what separates the Algebra FX 2.0 Plus from the other Casio calculators. We can assume it can handle what ever the fx-9860g series (including the Prizm, sans color) does. 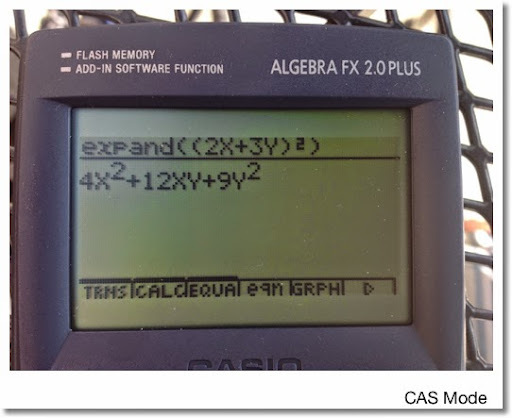 What separates the Algebra FX 2.0 from the other Casio graphing calcualtors? First, complex numbers are not only allowed as arguments in transcendental functions (logarithmic and trigonometric functions). Complex numbers are accepted as coefficient in the polynomial and simultaneous equation solvers. Second, instead of the usual 6, the polynomial and simultaneous equations solvers work orders up to 30. 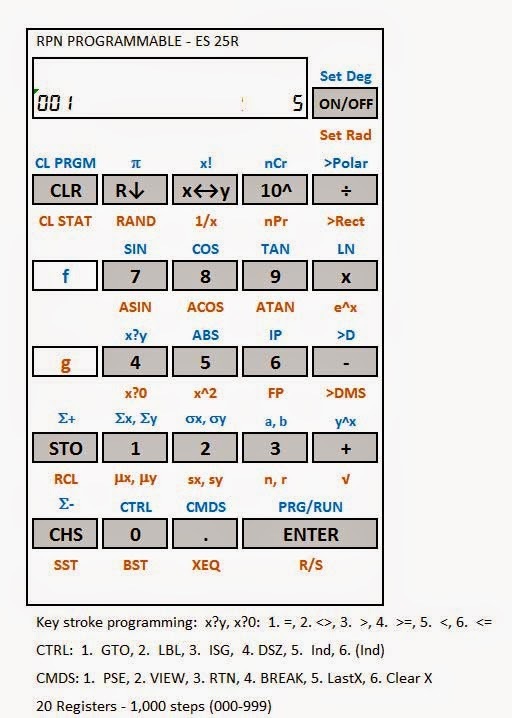 The big difference, is that calculator has CAS (computer algebraic system) capabilities. Being Casio, the CAS functionality is accessed in a separate mode. Make that three separate modes. Algebra Mode: This is a limited CAS mode, probably aimed at younger students. Only x!, |x|, denominator and numerator extraction, LCM, and GCD are available. Not sure what the Algebra mode exclusive arrange and replace commands do. Tutorial Mode: Choose from a library of 45 equation types and use the CAS commands to solve them. What commands are available is dependent on the type of equation being solved. Something I thought was strange with the CAS mode was that it could handle numbers bigger than 10^99. Try to get the approximation of that number, you get an overflow error. And really large numbers have digits cut off in the display so reading them presented a challenge. Trying approx(80!) returns an overflow error. I bought my Algebra FX 2.0 I think more than a decade ago on clearance. I think this calculator was underrated due to its short production life. Was the Algebra FX 2.0 a predecessor to the ClassPad Series? Seems like it. That is my retro-view. Hope you liked it. Talk to you next time! 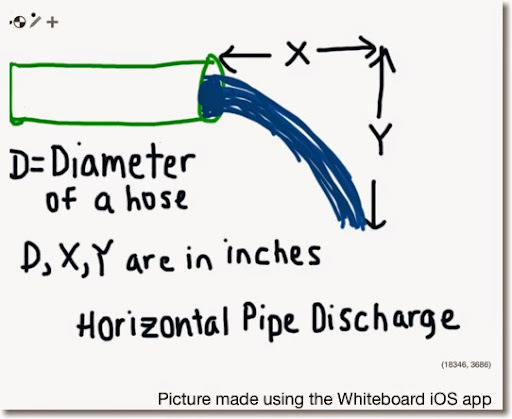 X, Y, and D (diameter of the pipe) are in inches. 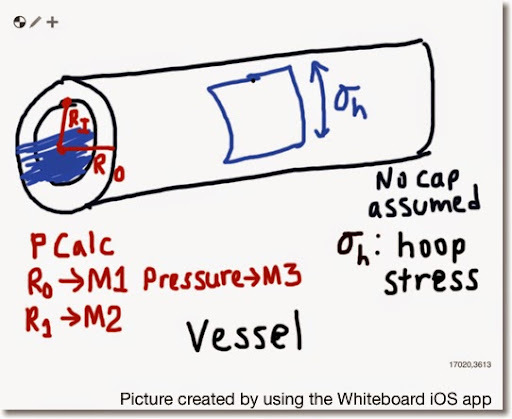 Flow (Q) is calculated in GPM (gallons per minute). 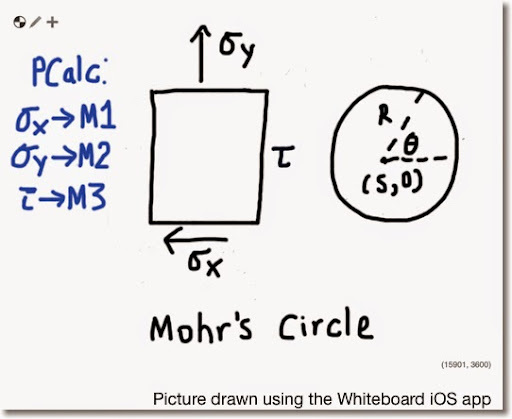 Given shear stresses in the x and y directions (σx and σy) and normal stress (τ), find the radius, center, and viewing angle of Mohr's Circle. I take τ to represent both τxy and τyx (both are assumed to be equal). HP 35S Program by Jason Charalambides, Avant Garde Engineering. HP 35S program written in 2012. A solver program for PCalc. Turn Multiple Memories on. Use the Skip If Equal command to simulate a menu. Enter 0 (zero) for any variable you want to solve for. To determine the period of a satellite's orbit around the sun (mainly planet), Newton's version of Kepler's Third Law is used. The commands PUSH and POP are used to preserve and recall settings. PUSH stores the settings while POP recalls stored settings. This allows the program to make necessary changes to program modes during execution with permanently affecting the settings for the user. The next four posts will have programs for the PCalc iOS app and the HP 50g calculator. English/U.S. Units (feet/miles, pounds, seconds) will be used instead of SI units (meters/kilometers, kilograms, seconds). This is a collection of programs I wrote on the Casio fx-5800p. 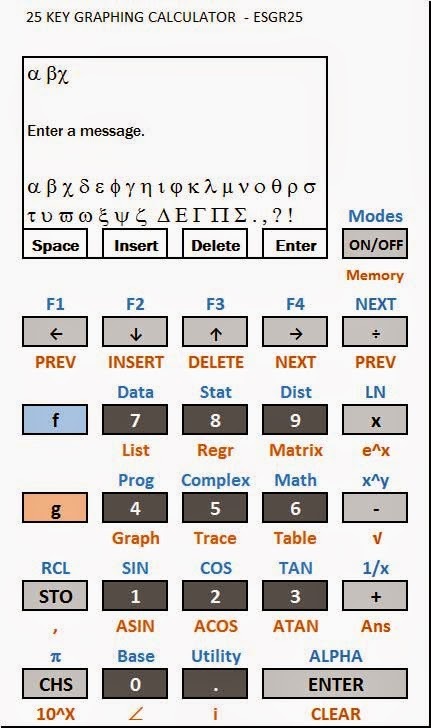 These programs should also work on any Casio Graphing calculator (fx-9860g, fx-9750g, Prizm) since the programming language between Casio calculators remains largely the same. Now if I can find my fx-5800p that I misplaced last night... *sigh*. Thank goodness for notes! Rotates the coordinate (X, Y). The direction of rotation follows the conventional direction (counterclockwise). The variable A represents the angle (θ). At the units, enter 0 for US units (set g = 32.174 ft/s^2), anything else for SI units (g = 9.80665 m/s^2). Gives the RA (right ascension) and δ (declination) of the sun at any date. U is the universal time, the time it would be at Greenwich Village (Int'l Date Line). 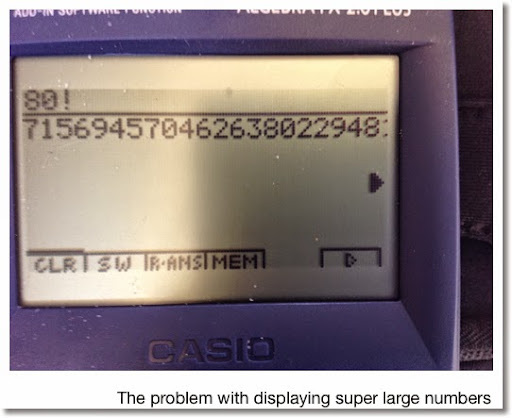 I have issued a creativity challenge: design a scientific calculator using only 25 keys. No restrictions. I came up with a couple ideas. The next one is a graphing calculator. (or at least an attempt at one). Since only 25 keys are allowed, this prevents the use of an ALPHA key. So, soft keyboards via dialogue had to be implemented instead. I may have forgot something but I think I got all the basics covered.